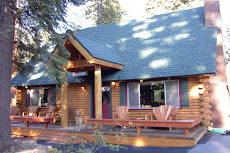 Agate Bay Realty offers Lake Tahoe vacation rentals, over 25 dog friendly rentals, ski leases, long term rentals, and real estate sales. The Forest Retreat vacation rental cabin has an open floor plan with the living and dining area that are open to the kitchen for easy conversations. The rental home has been remodeled including the kitchen, flooring and bathrooms. The property has a secluded forest setting with a large upper deck with patio furniture and propane barbecue. 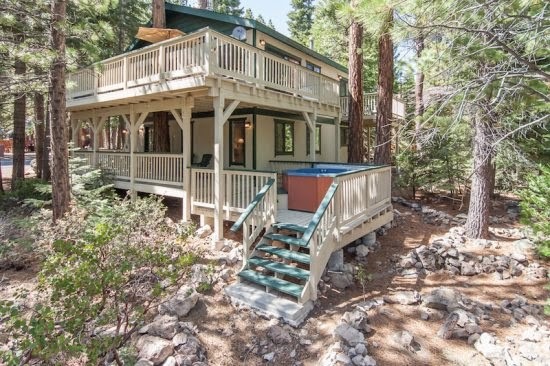 Off the lower level is another deck with the hot tub surrounded by pine, fir and cedar trees. The cabin is family friendly including the owners allow "Fido" to come, there is a ping pong table, and other family amenities. In the summer, the home is conveniently located to Patton Beach (dog friendly), Magic Carpet miniature golf course, Sierra Boat, 7-11, CB`s Pizza, Old Post Office coffee shop, Waterman`s Landing, Gar Woods Bar & Restaurant, and Carnelian Bay. Since this is a new property on our rental program, there are specials for certain dates in July and August. When you have multiple parties in the same group taking up residence in your vacation rental, there's no need for worry, daylesford cottage directory makes it easy to handle complex group reservations. When you have multiple parties in the same group taking up residence in your vacation rental, there's no need for worry, Airbnb Clone app makes it easy to handle complex group reservations. If your run a travel business and Want to develop your won Airbnb Clone Script like application you can go with some exclusive Clone Applications on the market. Vacation Rental enables you to rent out your home or book any home from anywhere. It is completely Un-Encrypted, very easy to use & loaded with top notch features. The AirBnb Clone Script is 100% customizable both in technical and cosmetic fronts. The script is user-friendly and takes hardly few minutes for setting up and launch. It’s going to be finish of mine day, except before end I am reading this enormous paragraph to improve my knowledge. Wow in actual fact a great post. I like this. 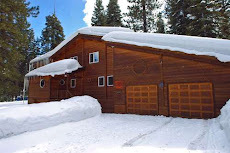 Planning your Tahoe South Vacation Rentals? 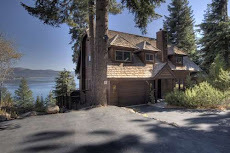 Let us put you up in some of the best Vacation Rentals, Stateline, Nevada, and Luxury Lake Tahoe homes around!